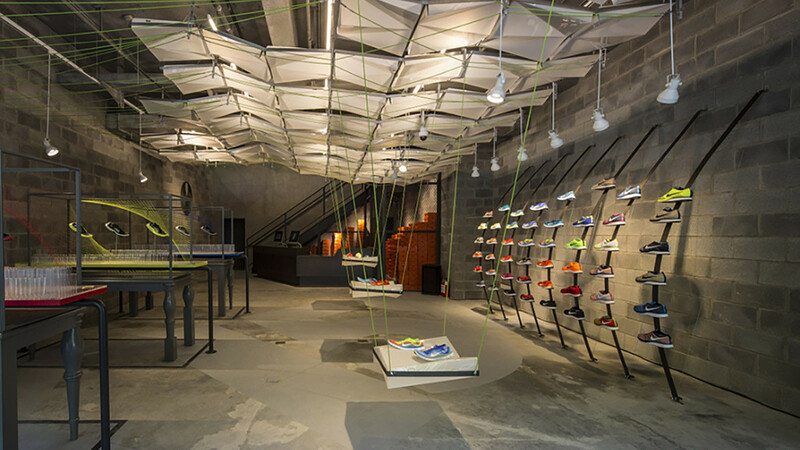 With the X158 flagship store, Nike took customers’ retail experience to another level. 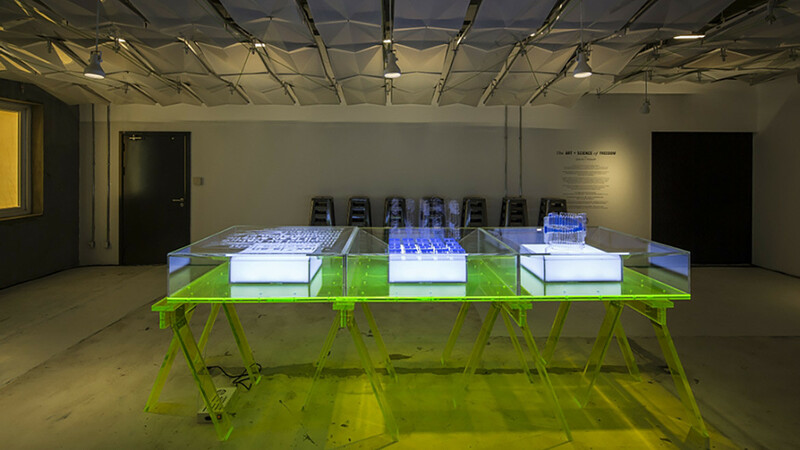 The door opened to the public with the “Nature Amplified: The Art + Science of Fit + Freedom” exhibition, featuring contributions by Universal Everything, Quayola + Sinigaglia and Supernature. 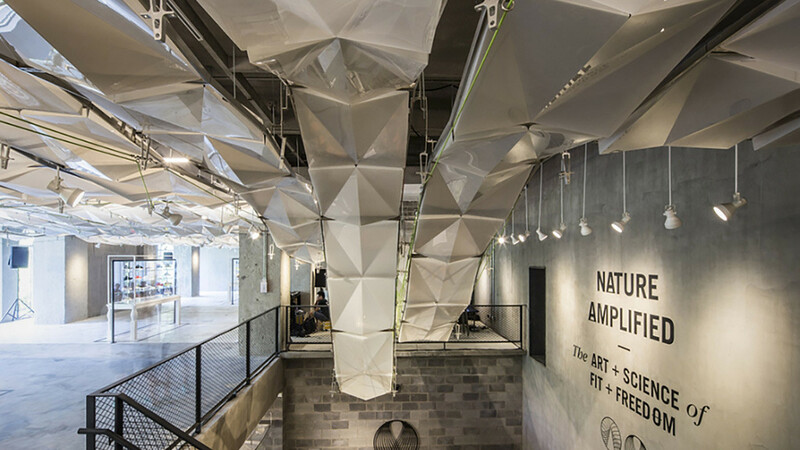 Set in the Shanghai neighborhood formerly known as the French Concession, the cutting-edge store can be adapted for different exhibitions and retail programs over time; thanks to its modular ceiling structure built using materials recycled from consumer lifestyle waste, engineered by global innovator Arthur Huang / Miniwiz. 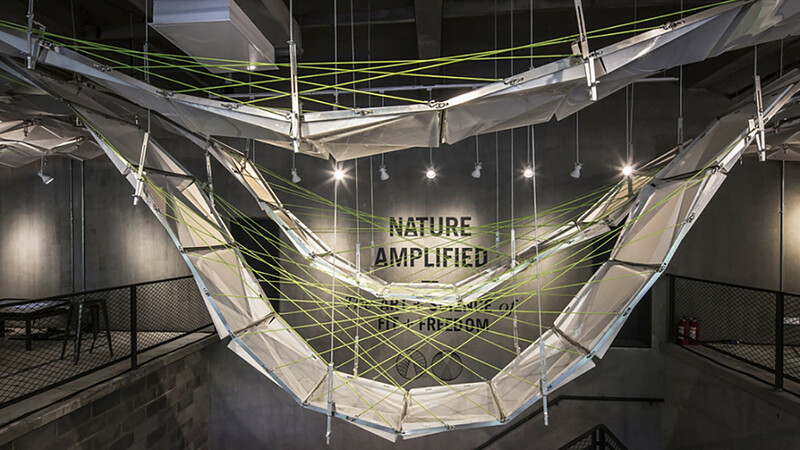 Sartoria has been asked to help layout the retail and exhibition space, with a seamless design proposition that blend the two storey building into a unique consumer journey.